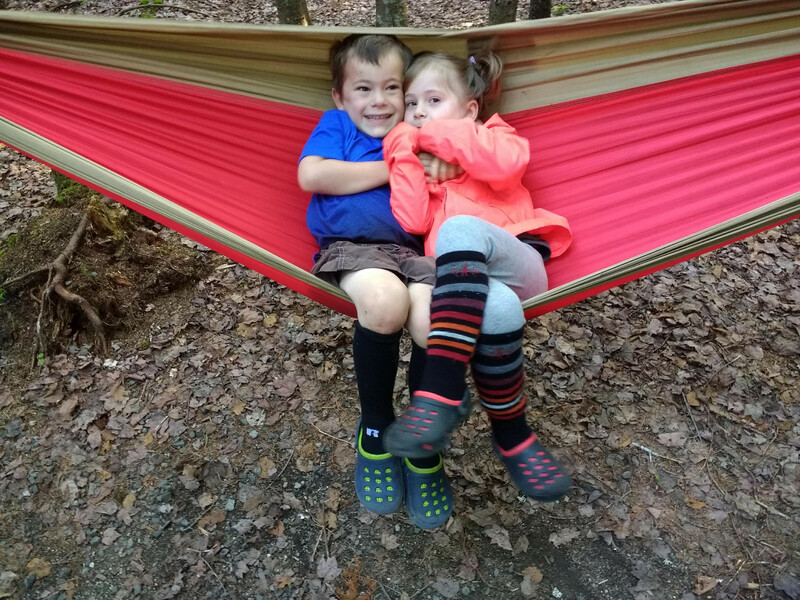 On our last family car camping sojourn, a three-day affair two years ago, we learned that two- and four-year-olds are too young for anyone to enjoy any aspect of car camping. There were diapers. There were legions of biting insects. There was not one, but two kid backpacks. There was a frog potty. There were tantrums. Everything was sticky. It rained. We were too close to our neighbors. Fun, but not. At all. We took a break for a year, thinking two potty-trained kids, at a minimum, would help. This time, we resolved, would be better, more fun, the stuff of memories and traditions. Our children, at four and six, were ready. So were we. 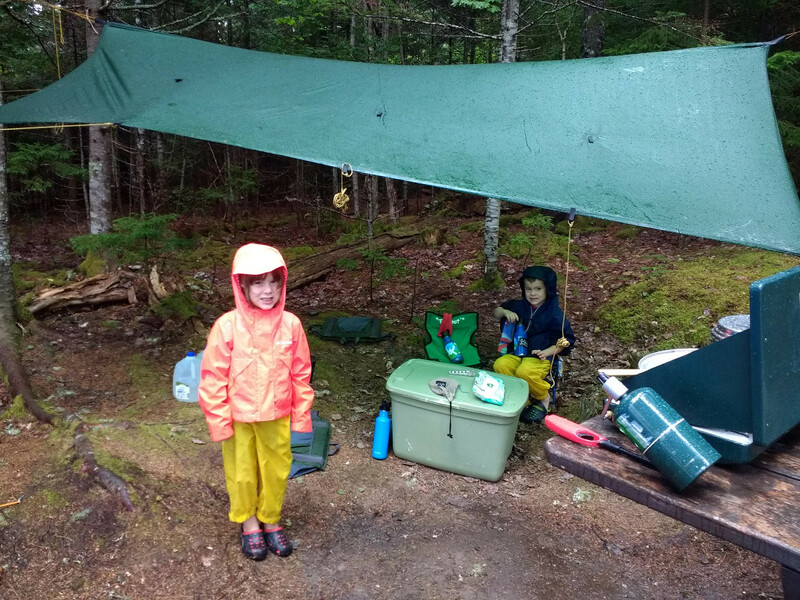 We booked nine days, split evenly between two destinations in Downeast Maine and New Brunswick’s Campobello Island, our longest camping expedition with kids. It was car camping, but so what? The kids couldn’t wait to set up camp, go hiking, help build fires, make s’mores, and explore everything. Their biggest goal? To spot whales off Campobello Island’s craggy, beautiful coast. Not exactly the backcountry experiences of our pasts, compared to a 30-day NOLS course, but my husband and I saw this as an opportunity to spend some much-needed family time doing something we both love after a busy year in a new-to-us house in a new-to-us town. We wanted to encourage the kids to embrace long trips in tents, eat well-cooked meals from a fry-bake, and play cards by headlamp. Maybe even like it a little. 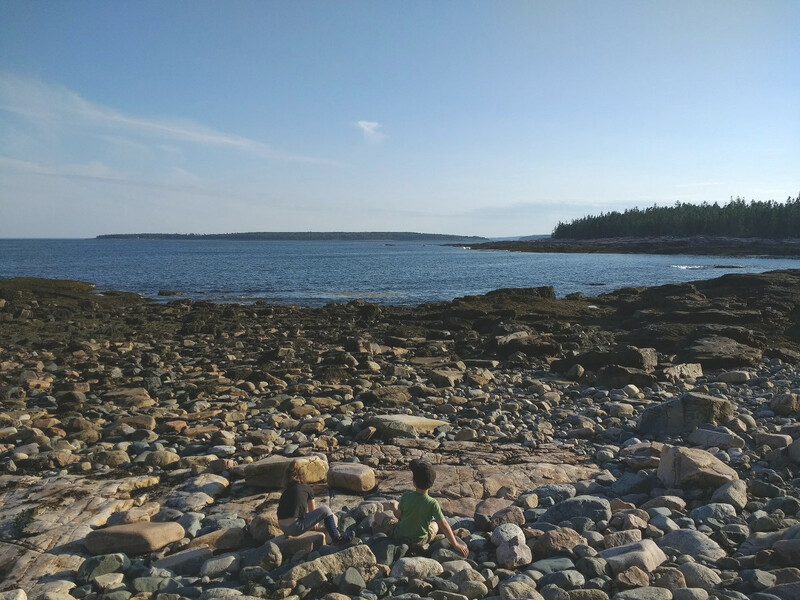 We stuffed the car, did everything we wanted, and yes, we watched whales—minkes—as we ate fish and chips on the deck of a tiny, hidden restaurant on Campobello Island. It was also the hardest thing ever, save giving birth. 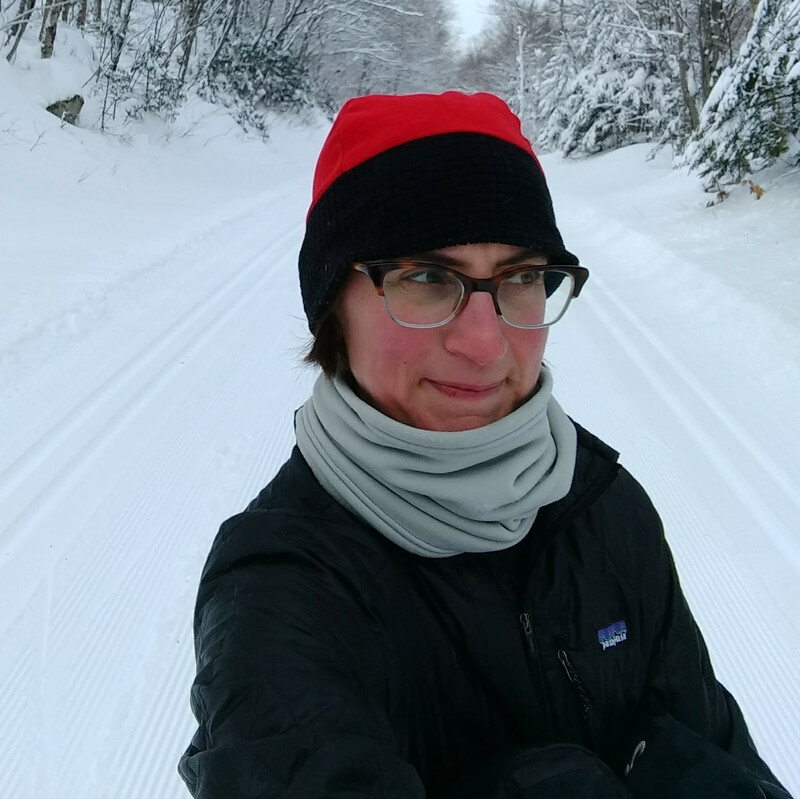 On my NOLS course, I had the basic concept of self-care down. I drank tons of water, ate well, kept as clean as possible, took breaks when I needed them, and knew when I needed help. There was that time paddling in Prince William Sound when I got sun blisters on the backs of my hands despite applying copious amounts of sunblock. I’d never had them before, and they hurt. I asked for help and got it. I slathered my hands in zinc-oxide, wore too-warm gloves for a few days, and the blisters healed. I learned and improved my self-care repertoire. Not so with little humans. 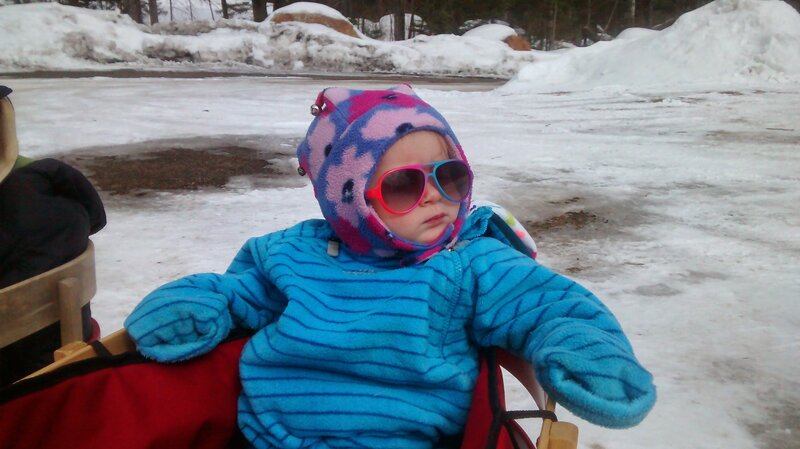 Funny, this kid concept of self-care did not enter my consciousness on my NOLS course. 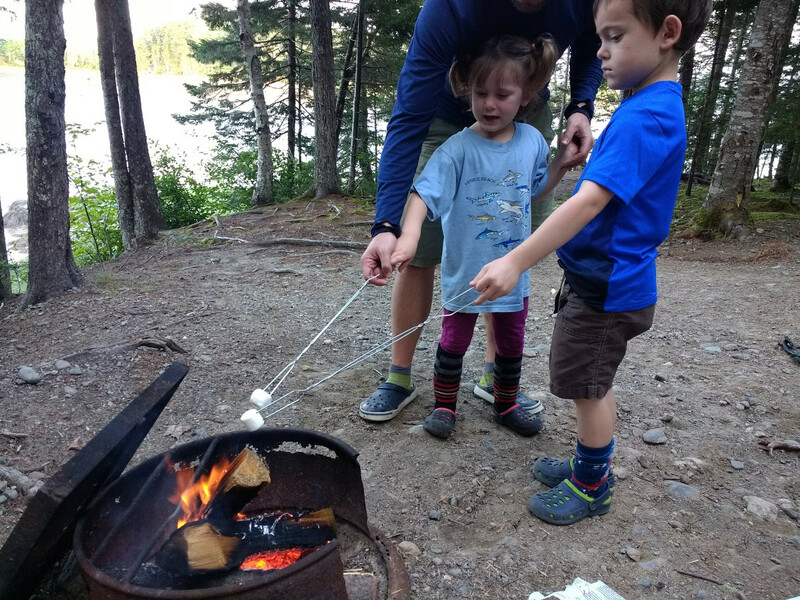 Kids need constant reminders not only not to fight near a hot stove, if at all, but to wash their hands before meals and after using the bathroom, to drink water, to take short rests in the afternoon, and not to drink from the campground sink. They also need explanations for everything—the definition of “potable,” why it’s ok to spit like an elephant after brushing your teeth, what dehydration means and its potential side effects, what happens to their poop when it goes in a cat hole versus an outhouse versus a composting toilet versus a regular toilet and why they can’t have poop on their hands, and if they can’t have poop on their hands, is it ok if some accidentally gets on their toe? Self-care is a concept they need to learn. And learning requires repetition. They need explanations not just once, but every single time an issue around self-care arises, so basically all the time. It. Is. Exhausting. On my NOLS course, I shored up my map and compass skills and became a competent navigator. That’s part of what you do on a NOLS course. Question, learn, practice, internalize, share. Skills for life. All of this went out the window on our trip, as I plucked free hiking maps from the map stand at the campground office. We took one of these gems with us on what should have been a short hike to some ledgy blueberry patches overlooking the ocean. The kids know how to follow a red trail and a blue trail, I thought. I wanted them to feel successful. And they did, briefly. We let them navigate from the trailhead to the ledges. They did great. And then the trail diverged, as the famous poem goes, and those divergences, as they are in life, were not on that free campground map. We got lost. Like, three miles out of the way lost. Turns out that those cartoonish red and blue lines on the map don’t account for nuances, like other trail systems. Not a big deal when you’re a rational adult traveling with other rational adults, all of whom have some notion of self-care (see #1). When you’re with young children though, this is epically bad. They weep and mourn their failures loudly, screaming for rescue. But we figured it out. The good news? We taught them how to retrace their steps. For them, that meant returning through a prolific, tasty blueberry patch. Navigation win. Later that day, we bought a decent map. When I intimated that I thought my pack was too heavy on my NOLS course, I earned that loving, EB-infused NOLS rebuke that went something like this: “You’ll carry your weight and not whine about it.” I earned it once. And thereafter I carried that pack sans whining, though I may have quietly whimpered in rare moments of solitude. 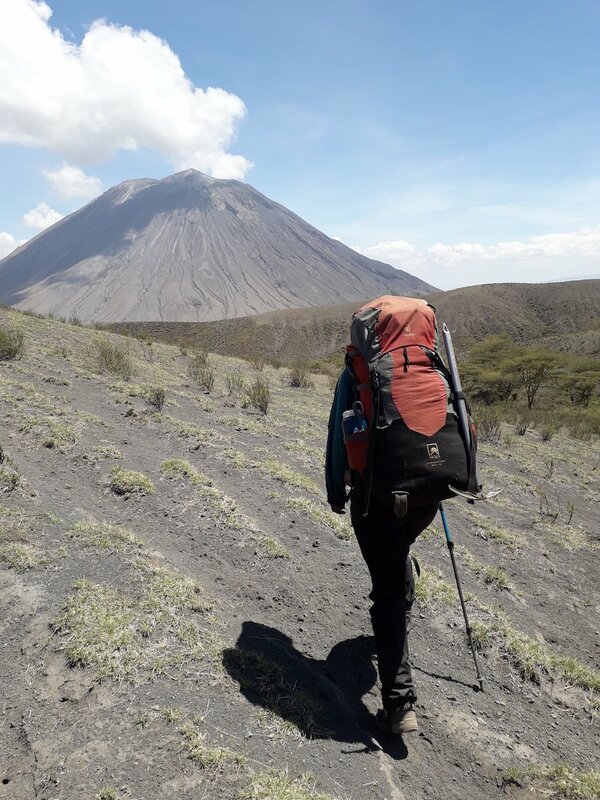 I carried the limit of what my body and mind could handle on my NOLS course, which I know now was part of the course itself. At the end, I experienced a short but glorious period of my life wherein I was buff—physically, mentally, and emotionally. 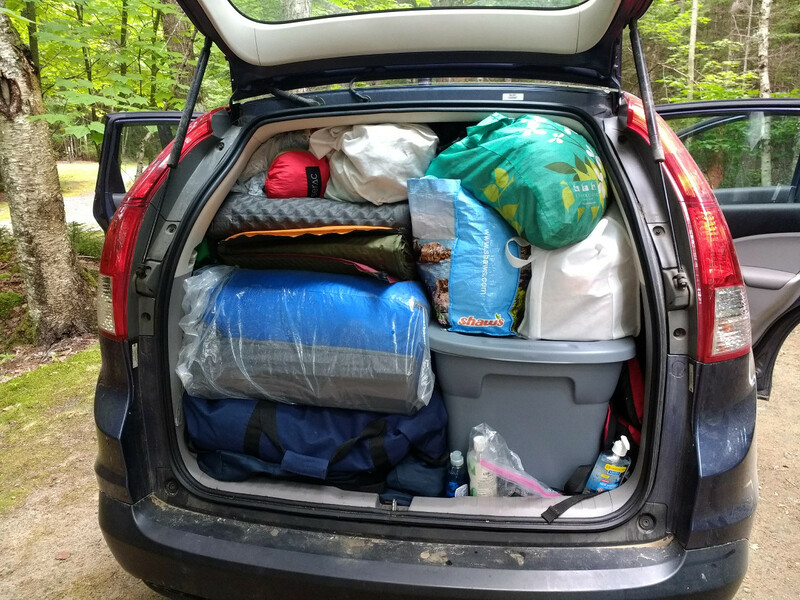 While car camping—no, not backpacking, car camping—with my husband and children, I exceeded the limit of what I could handle physically, mentally, and emotionally. I packed, carried, unpacked, repacked, organized, reorganized, divided and subdivided evenly and equitably, and otherwise humped every piece of gear, every roasted marshmallow, every word of dissent, every decision my husband and I made on that trip for the duration of nine days repeatedly, all because I wanted my children to love camping. And because we worked as hard as we did, they do. This time though, I’m not even buff on the outside. But man, my psyche? Buff as h*ll. Here’s the thing: on a NOLS course, you’re taking care of all of your hygienic needs in the backcountry—you learn what that means and how to do what you need to do safely and efficiently. On a car camping trip, there’s what I call the Zone of Hygienic Liminality. It’s not quite backcountry and it’s not quite frontcountry, and depending on where you camp, there are expectations. If there are outhouses or bathrooms, you’re supposed to use them. The water may or may not be safe to drink, and therefore not safe for toothbrushing, but may be safe for dishwashing. Your graywater goes here, not there. You’re not supposed to dig cat holes. You need to leave the toilet lid open. Or closed. Flushing may or may not be acceptable. You shouldn’t pee near your tent in the middle of the night even though you probably will. Kids add to the confusion in this hygienic netherworld. Not only do you have to accompany them every time to these semi-public spaces—outhouses and bathrooms and spigots—you have to clean whatever they’re going to use, or at least attempt to avoid whatever the person or people before you left behind. It’s gross. Kids touch everything. And they ask loud questions and you find yourself explaining menstruation and the differences between tampons and pads to your six-year-old son on the way back from the bathroom on an otherwise perfect Friday night. And then you keep answering questions and marvel at all of humanity and wonder how any of us survive. Then you come back to this reality: it is nearly impossible to keep kids clean. It is possible though, with one rule, to keep them from contracting something terrifying: don’t touch anything in any type of bathroom unless Mommy tells you it’s ok.
Thirteen years ago, I pushed and shoved and sweated my way through my NOLS course and was thrilled when I popped out on the other side, buff and happy and balanced, with crisp backcountry skills to boot. This time? I pushed and shoved and sweated more than I thought possible. This time, it’s not about being buff and happy and balanced with cherry backcountry skills when it’s over. It’s about loving each other through it all, this infinite expedition, the messy beauty of living. The kids promised they won’t fight near the stove next time. I just bought them new sleeping bags. And we can’t wait to do it again. 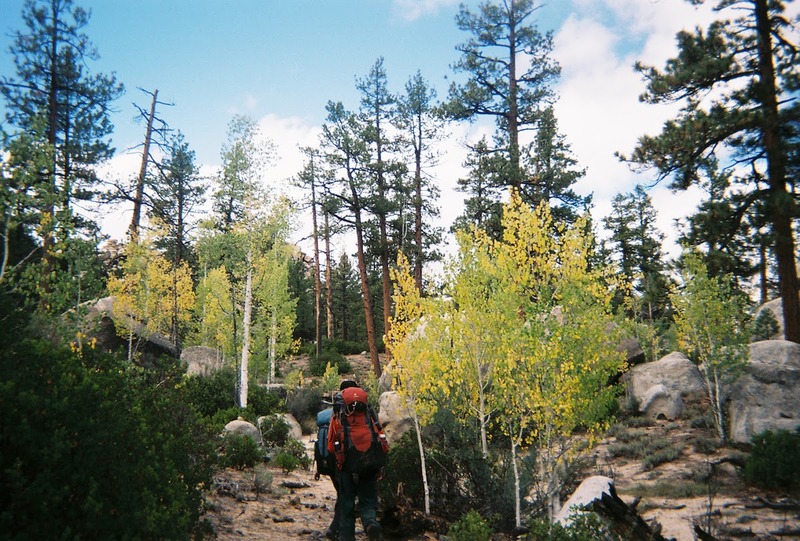 See NOLS courses for adults.